IMPORTANT: Connect phone to PC. Then, enable "manufacturer mode" on your phone. 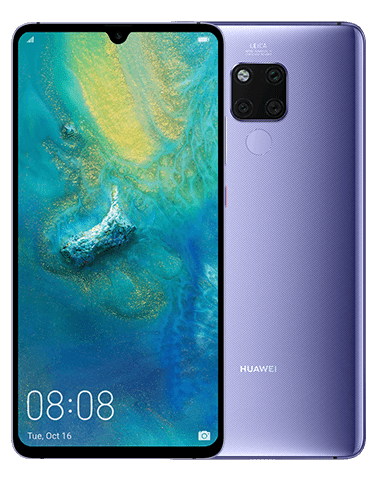 This is done by entering in dial pad code *#*#2846579#*#* (On tablets without dial pad use tilted calculator to dial ()()2846579()()= marked in red), select "Project Menu", "Background settings", "USB ports settings", "Manufacture mode". 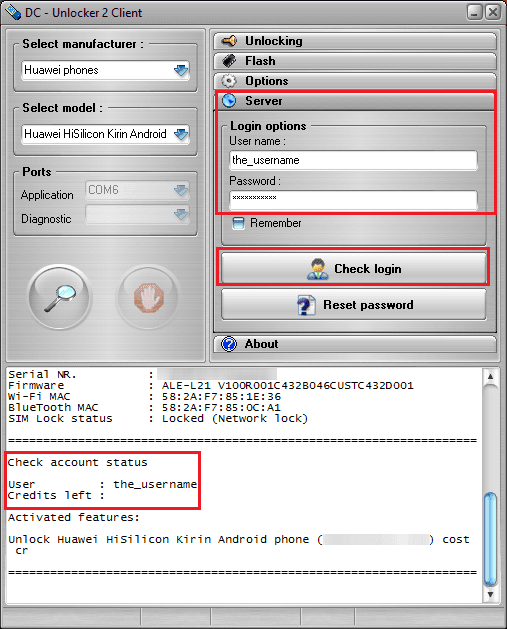 Install drivers for your phone by downloading and installing HiSuite software. If Driver Pack does not work Download Hisuite. 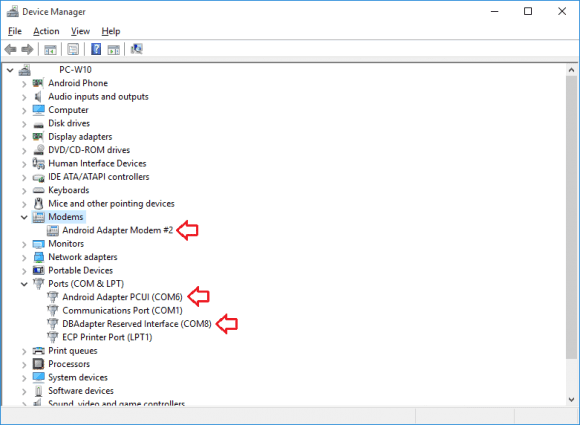 To see how to apply drivers manually click here. 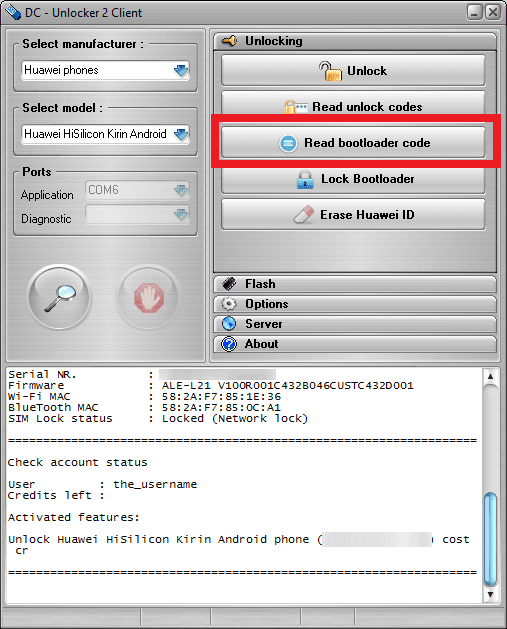 Detect device by selecting Huawei phones from manufacturers drop down menu list, "Select model" leave on Auto detect (recommended), then read the info on software for how to correctly prepare phone for detection. After phone is prepared, connected to PC and it's drivers installed, click magnifying glass button. Open Server tab, enter your username and password that you received after credits purchase. Click "Check login" button (You can buy credits here www.dc-unlocker.com/buy). 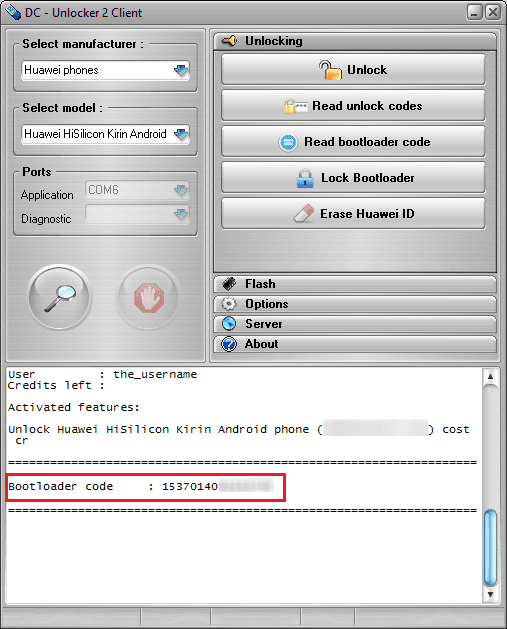 If DC-Unlocker/Vygis/Rocker/Infinity dongle is connected, only click " Check login"
Open Unlocking tab, click “READ BOOTLOADER CODE” button. Wait for code to be provided. 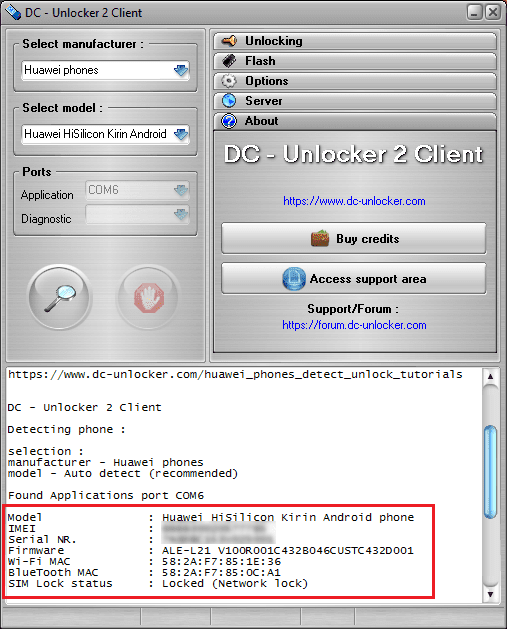 WARNING by Dc-Unlocker.com: Credits lost for reading bootloader code on not support models are not returned or refundable!